We love happy customers! And we love knowing that our work was of great help to a family. 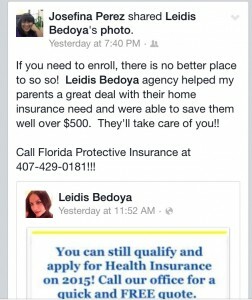 Bellow see the sweet message we received on our Facebook Page from a dear client, who we help to obtain health coverage for 2015. 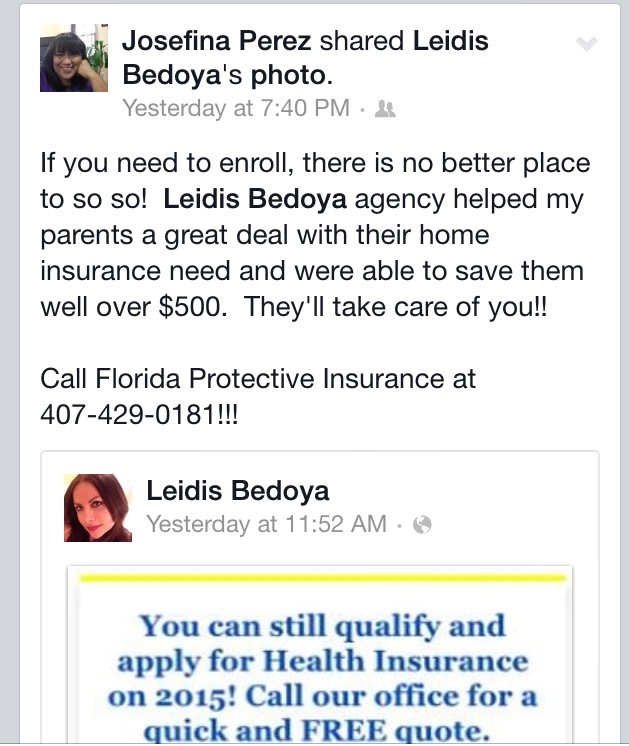 Thank you Josefina, for your kind words!